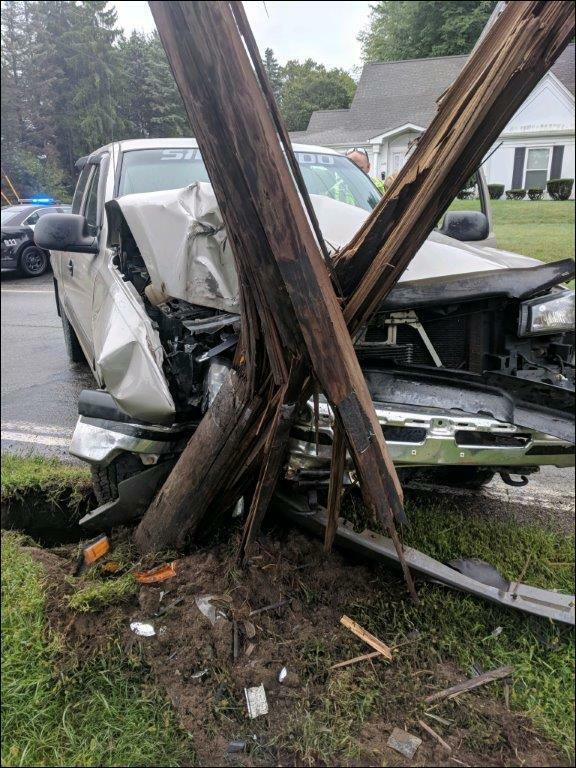 One person suffered possible injuries this morning when a pickup truck struck and sheared off a utility pole in Slippery Rock. The driver, whose name was not immediately available, was traveling west on New Castle Street at Mulberry Lane shortly after 09:40 a.m. Tuesday when the truck hit the pole. He told emergency crews that he blacked out and only remembered applying his brakes and hitting the pole. The truck’s air bags deployed. The man was taken to Grove City Medical Center for evaluation. The Slippery Rock Volunteer Fire Department and Rescue Team assisted at the scene. Slippery Rock police could not be reached for comment.